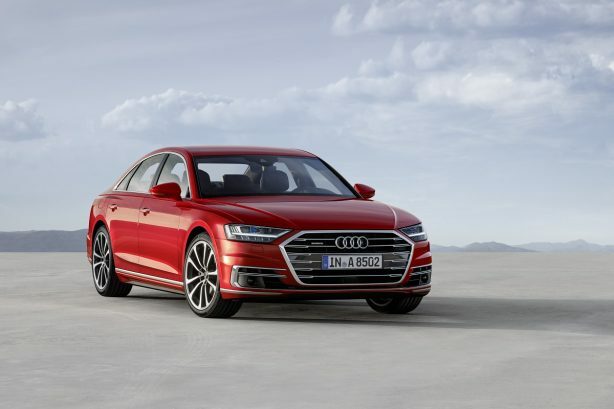 The all-new 2018 Audi A8 will arrive in Australia from mid-July with up to $36,000 worth of additional value, compared to its predecessor, depending on the model and packages specified. 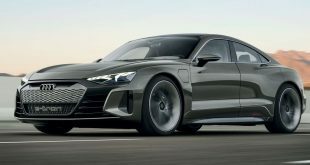 Built on the latest incarnation of the Audi Space Frame (ASF), using a combination of aluminium and carbon fibre, the new A8 is said to be 10 percent lighter, yet 24 percent more rigid than its predecessor. 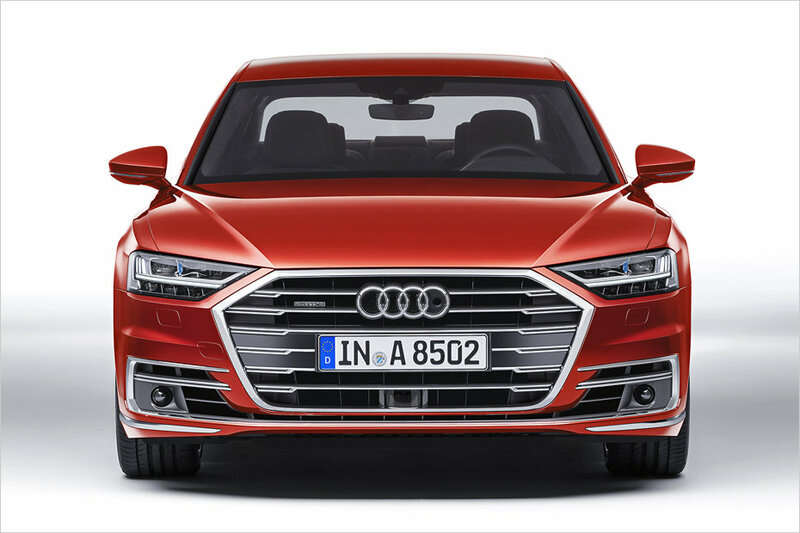 The new A8 adopts styling elements from the Audi Prologue concept including the company’s new single frame trapezoidal front grille, sleek headlights and bold lines. 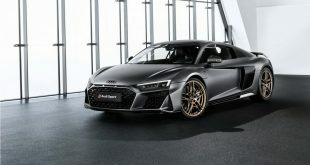 It measures 5.17 meter (17.0 ft) long in the standard version. 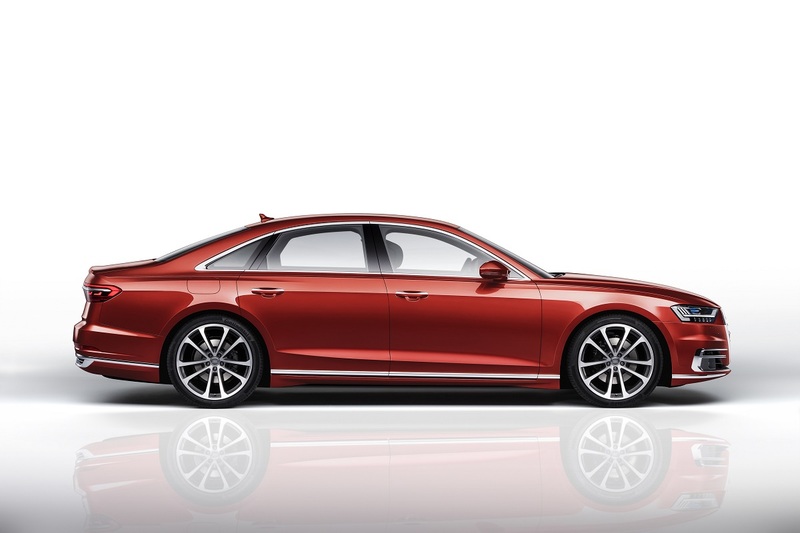 The A8 L has a 13 centimeter (5.1 in) longer wheelbase. 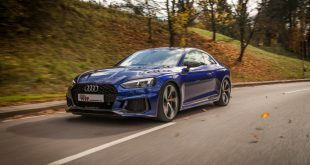 The interior design architecture has been completely reimagined, with the clean sweeping lines of the exterior mirrored in a sleek, minimalist design concept. 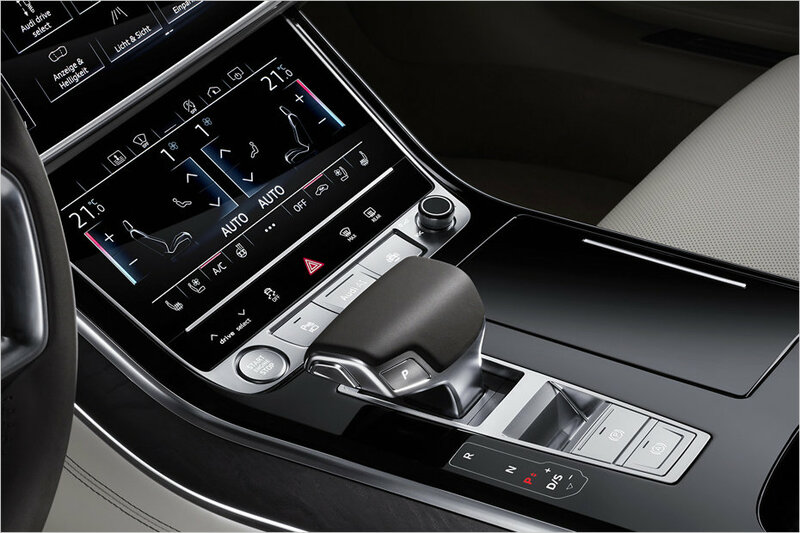 Dual touchscreen panels (10.1- and 8.6-inch) have been seamlessly integrated to form part of the dashboard design. The all-new Audi A8 is available with a choice of two 3.0-litre V6 drivetrains: the 50 TDI turbo diesel quattro with 210kW of power and 600Nm of torque and the 55 TFSI turbo petrol quattro with 250kW and 500Nm of torque. 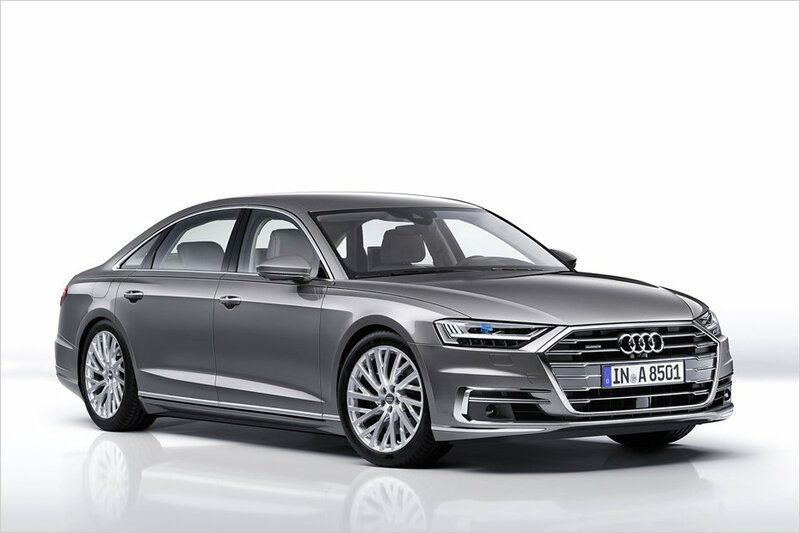 For the first time, each engine features new mild-hybrid technology, employing a belt alternator starter (BAS) and a compact lithium-ion battery, allowing the A8 to coast at speeds between 55 and 160km/h with the engine off depending on driving load. 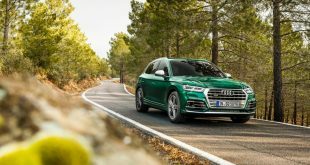 This new 48-volt system also allows power recuperation from regenerative braking plus start-stop operation from 22km/h, for claimed fuel savings of up to 0.7 litres per 100km. 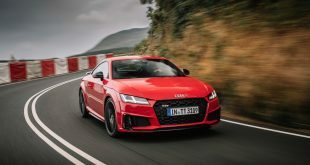 Both engines are mated to an eight-speed automatic transmission and drive all four wheels through Audi quattro all-wheel drive with self-locking centre differential as standard or the optional sport differential for even more dynamic handling. 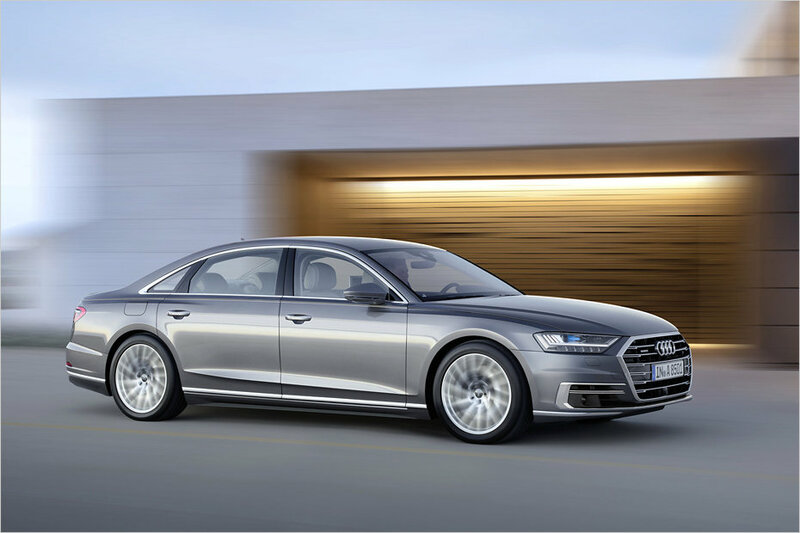 Adaptive air suspension with variable dampers are standard equipment for the A8, offering four ride height options and promising exceptional ride quality. 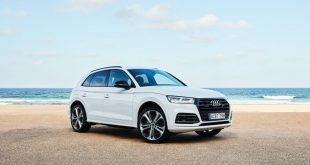 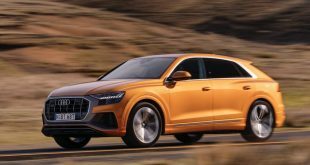 The optional Audi AI active suspension is planned for introduction in 2019. 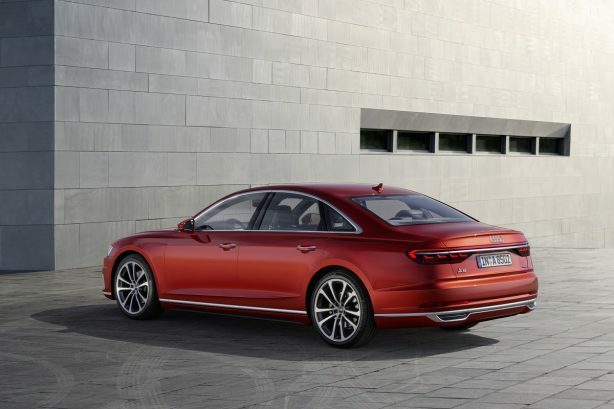 Progressive steering too forms part of the standard equipment, with the optional dynamic all-wheel steering ensuring the A8 is even more agile and manoeuvrable. 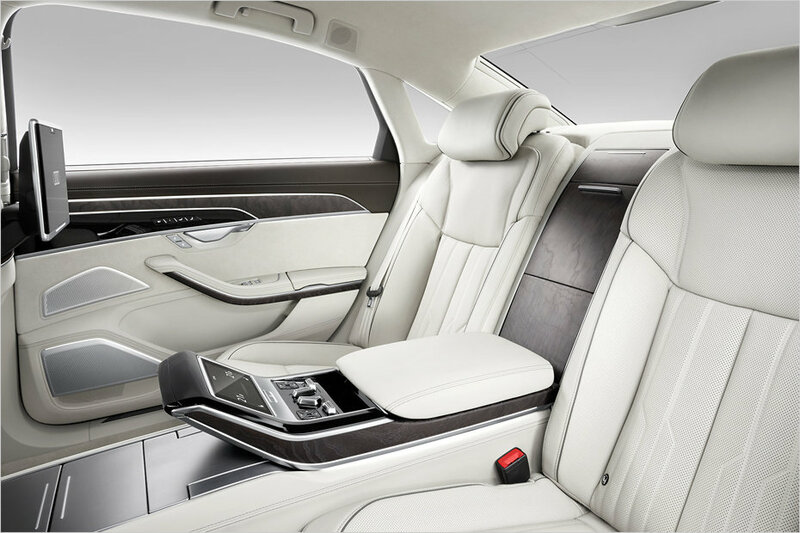 The long wheelbase model, the A8 L – which adds an additional 130mm in overall length – is available with an optional ‘relaxation seat’ in the rear, which provides added adjustment options and back massage, as well as a unique footrest with heating and a full massage function for the soles of the feet offering the ultimate in on-board pampering. 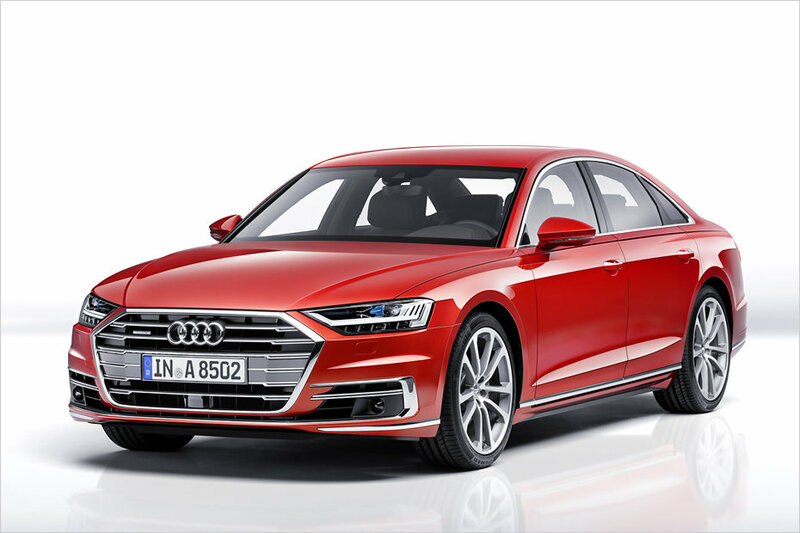 The Audi A8 is available to order now.